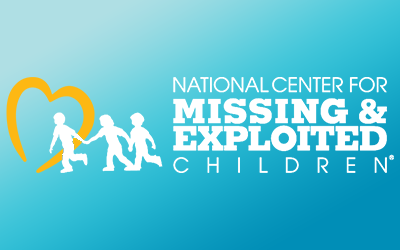 The National Center for Missing & Exploited Children® is a non—profit 501(c)(3) corporation whose mission is to help find missing children, reduce child sexual exploitation, and prevent child victimization. Since 1984, NCMEC has served as the national clearinghouse and resource center for families, victims, private organizations, law enforcement and the public on issues relating to missing and sexually exploited children. 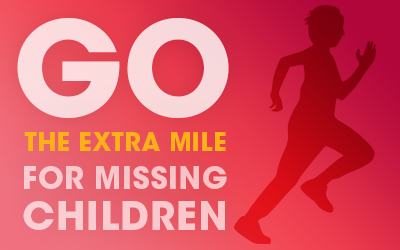 About the “Miles for the Missing” 5KGo the extra mile for missing children. Join us on October 13, 2019 for the annual “Miles for the Missing” 5K in Fairfax Corner, Virginia! The goal is to join hundreds – hopefully thousands – of walkers and runners together and raise both funds and awareness for the National Center for Missing & Exploited Children. The entry fee is $35 which includes a t-shirt and post-race snacks. This will be a timed race, and awards will be given to those who place. Copyright © 2019 National Center for Missing & Exploited Children.